The Shelby Cobra was more than just a badass sports car – it was an inspiration and a new way of thinking in the automotive world. 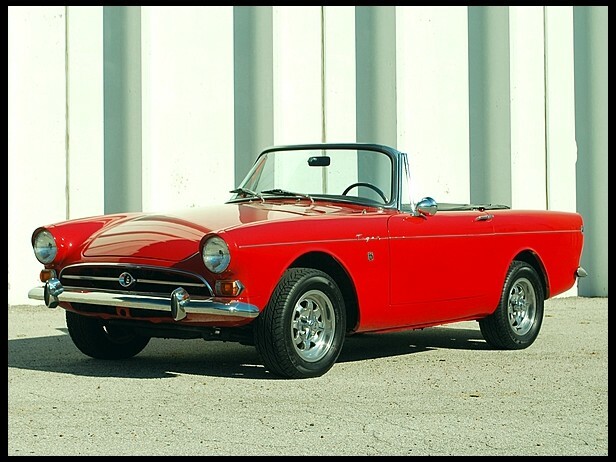 A completely redesigned Sunbeam Alpine appeared in 1959. It was supposed to be a sports car. But by 1963, the most powerful engine available was an 80 horsepower straight four. Meanwhile, Carroll Shelby had transformed the 120-horsepower AC Ace into his famous fire-breathing 271 horsepower monster – and that was just the start, as later cars would have 425 horsepower. The Alpine didn’t compete with the Ace in terms of performance, much less the Cobra. Ian Garrad, West Coast Sales Manager for the American arm of the Rootes Group and a few other employees realized the Alpine’s potential and figured out that Ford’s Windsor V8 would fit in the car. They sent an Alpine to Shelby and had him wedge one of the engines in. Then they shipped it to England to have the Sunbeam folks evaluate the car. Sunbeam approved and tasked sports car maker Jensen with the production of the Tiger. Series I cars used the 164 horsepower 4.3-liter V8. Series II cars had a 200 horsepower 289 Ford V8 (4.7-liters). This is a Series II car and they are very rare – only 536 of the 7,085 Sunbeam Tigers built were 200 horsepower Series II cars. While it doesn’t compete with the Cobra in terms of power or performance, this is still a fast, powerful British sports car from the 1960s. And there is that always-desirably Shelby connection. This being a Series II car ups its value to a fair degree. To read more and for more pictures, click here. And for more from Mecum in Kansas City, click here. This entry was posted in Uncategorized and tagged 1966, auctions, cars, classic cars, convertible, mark ii, mecum, series ii, shelby, sunbeam, tiger by classiccarweekly. Bookmark the permalink.